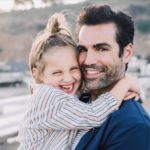 The Young and the Restless spoilers indicate that Rey (Jordi Vilasuso) and Sharon (Sharon Case) will continue to get rather hot and heavy in the coming weeks. But are they making a mistake by getting involved and moving their romance to the next level so quickly? That’s what a lot of fans want to know right now. Are Rey and Sharon A Good Couple? Y&R spoilers tease indicate that now that Rey and Sharon are setting off fire alarms inside Sharon’s apartment, it’s gotten a lot of people interested in their relationship! As a matter of fact, a lot of fans recently took to their Twitter accounts to express their views on Sharon and Rey’s romance. While there’s no doubt that the two love birds are definitely in to each other, let’s not forget that they also come with plenty of emotional baggage. Some fans believe that Sharon will always love Nick while Rey is technically not a single man right now. If that weren’t enough, there’s also speculation that his wife Mia might be pregnant. Ha! That would definitely make for an interesting twist, right? Of course, fans will have to tune in to find out what happens next!